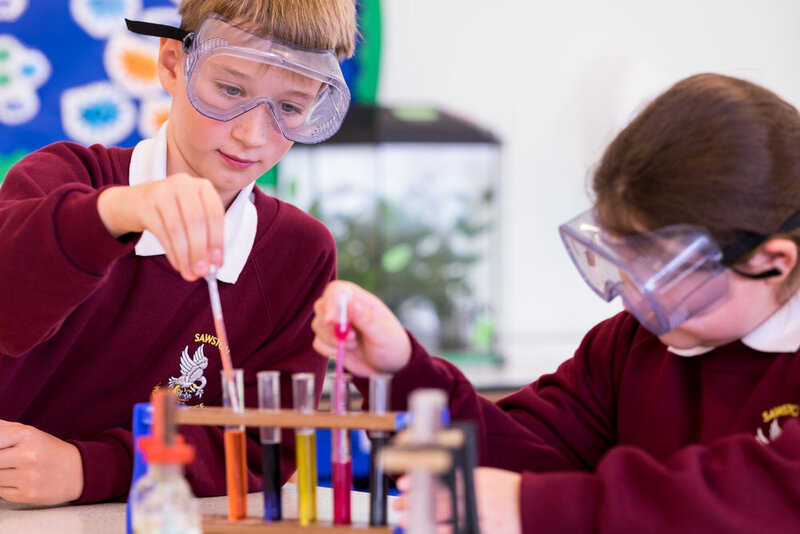 A couple of months ago I shot some images for a local school's Open Evening advertising. I had an eager bunch of bright eyed year 7 pupils, new to the school (it was their first week!) to act as models in various situations in the Science department. The images had to be bright, interesting and showing the pupils enjoying their time in "lessons". But there were a few challenges, not least time pressure - my models couldn't be out of lessons too long! Lighting was also an interesting challenge. One classroom I was using had lovely natural bright light streaming in from the dual aspect windows. This lit the scene evenly and well, meaning I didn't have to use any additional lighting. 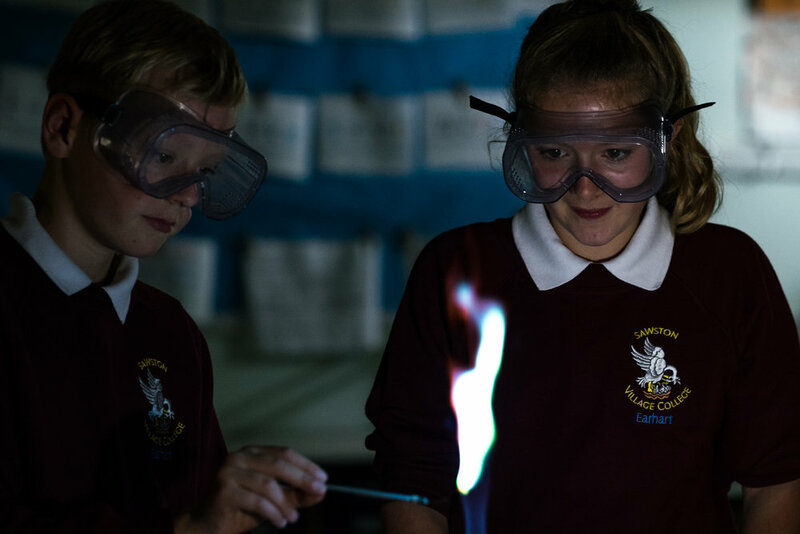 However one series of images I had planned involved a dark classroom, with the kids carrying out a flame test (burning metal salts in a flame to produce different colours). These flames didn't produce that much light, but their faces still needed to be visible in the image, otherwise it's just an image of some fire (not great for advertising the school...). So I used a small portable Manfrotto Lumie LED light, which I could position close to the pupils so their faces were partly lit. This was a bit of a love-hate relationship - it did what I wanted, but it also didn't. The light is not very powerful, so it had to be positioned quite close to the scene for the light to hit their faces. But then often it would be creeping into the shot in the corner. The light also tended to be a little harsh, even with diffuser panels. I do in hindsight wish I had some proper strobes with softboxes, but it just wasn't possible on this shoot. In terms of equipment, I used my Fuji X-T1 with the lovely 90mm f/2 lens - this lens renders colours beautifully and is crispy sharp, even at wide apertures. Speaking of aperture, the lens was shot just shy of wide open (between f/2.5-2.8) to cut out the clutter of the classroom background, shutter speed was kept at a constant 1/125 of a second, and then I adjusted ISO to keep these settings (the X-T1 can just about handle ISOs up to about 1600 before the files start getting overly muddy. I did notice some loss of pop in colours at this ISO though). Overall I'm pretty happy with the results, and a number of the images were used on banners and other advertising for the evening, which is an extremely important one in the school year.